No contract means you can stay because you want to. Basic (12/1) subscription has a speed of up to a maximum of 12 Mbps for downloading and up to 1 Mbps for uploading. Typical evening speed between (7PM – 11PM) of 11 Mbps for downloading into the home. 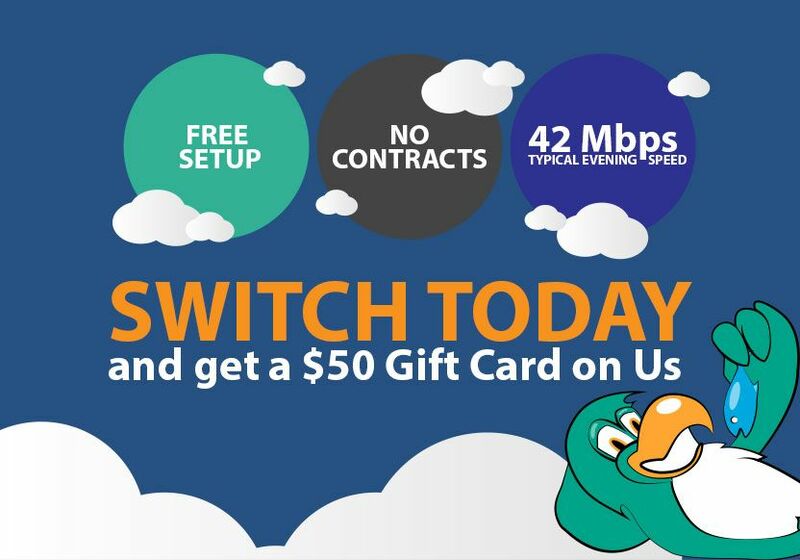 Turbo (50/20) subscription has a speed of up to a maximum of 50 Mbps for downloading and up to 20 Mbps for uploading. Typical evening speed between (7PM – 11PM) of 42 Mbps for downloading into the home. Max (100/40) subscription has a speed of up to a maximum of 100 Mbps for downloading and up to 40 Mbps for uploading. Typical evening speed between (7PM – 11PM) of 68 Mbps for downloading into the home. Normally $329.95, we’re offering a $200 discount on our optional pre-configured D-Link modem with each of our nbn plans. With a consumer rating of 4.4 stars, the D-Link DVA 2800 modem is a high quality nbn-ready modem at a great price. In fact we guarantee if you find a lower priced D-Link DVA 2800 modem, we will not only match it, we’ll beat it by 5%!. The TalkBox2800 – Dual Band Wireless AC1600 Gigabit ADSL2+/VDSL2 Modem Router with VoIP provides excellent wireless speed – up to 1600Mbps – for flawless video streaming to multiple devices. ​​​​​​Built-in ADSL2+/VDSL2 Modem Connect to your ADSL2+/VDSL2 broadband Internet service without the need for an additional modem. 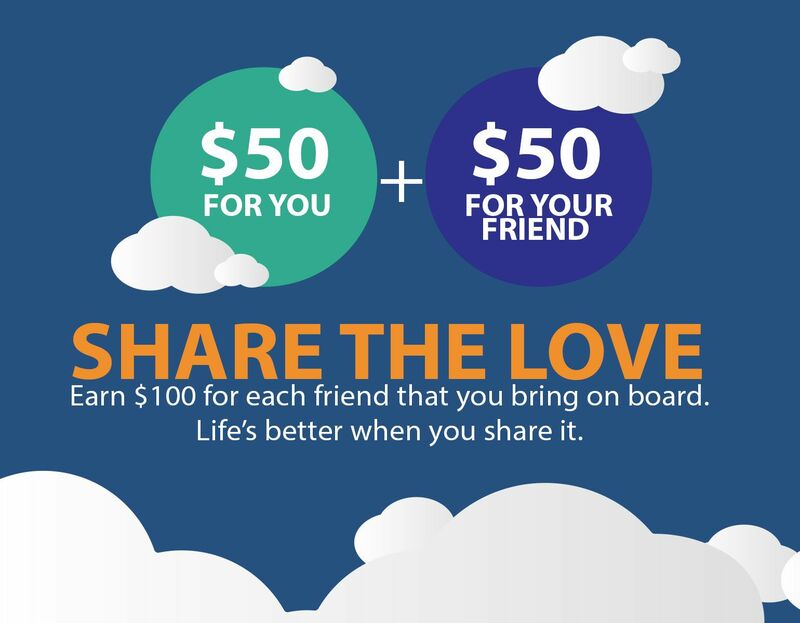 Earn $100 for each friend that you bring on board. Life’s better when you share it. WHAT DOES THE NATIONAL BROADBAND NETWORK MEAN TO ME? FALCON IS AS EASY AS 1, 2, 3! Enter your address and see if you can nbn™ at your address. If you address is nbn™ ready, choose a plan, enter your details and sign up online with ease. The National Broadband Network (nbn™) comes in different forms depending on where you live. The seven types of nbn™ are Fibre to the Premise (FTTP), Fibre to the Node (FTTN), Fibre to the Basement (FTTB), Fibre to the Curb (FTTC), Hybrid Fibre Co-Axial (HFC or Cable), Fixed Wireless and Satellite (Sky Muster). Falcon Internet offers Fibre, FTTN, FTTB, FTTC, Cable and Fixed Wireless. Satellite is not available from Falcon Internet. Sometimes nbn™ Fibre can’t be connected to a home and the final leg of the nbn™ journey is wireless. A fibre-optic cable is run to a local transmission tower and then a wireless signal is aimed at an antenna fitted to your roof. nbn™ Fixed Wireless delivers a more stable service than mobile broadband. nbn™ Fixed Wireless is built to service a predictable number of users, who are not changing location. With broadband over a mobile network, the number of users is unpredictable. nbn™ ROLLOUT – WHEN WILL I GET nbn™?